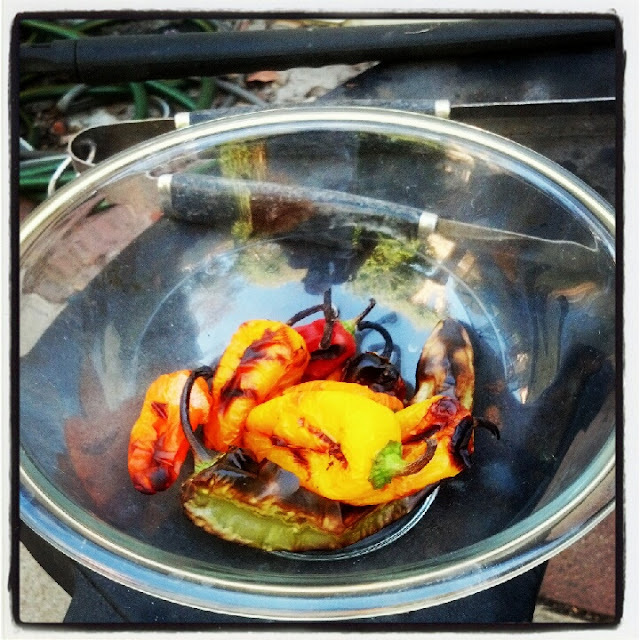 The Mr made this killer topping for the steak we grilled the other night. And it was easy to make - while the steak was grilling! 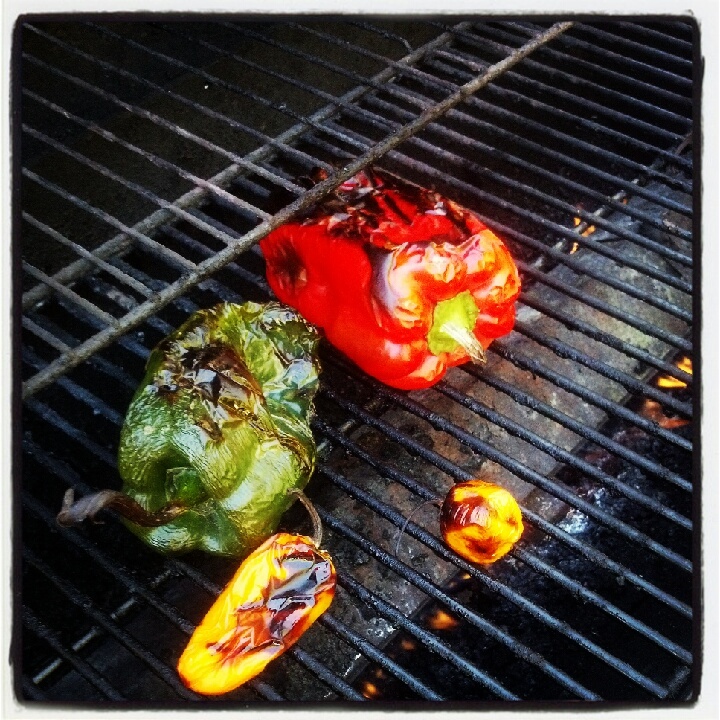 Grill (or broil) until the skins are charred and the peppers are soft. Remove from the grill. Slice the tops off the peppers to remove the stem. Be careful - they will be hot! 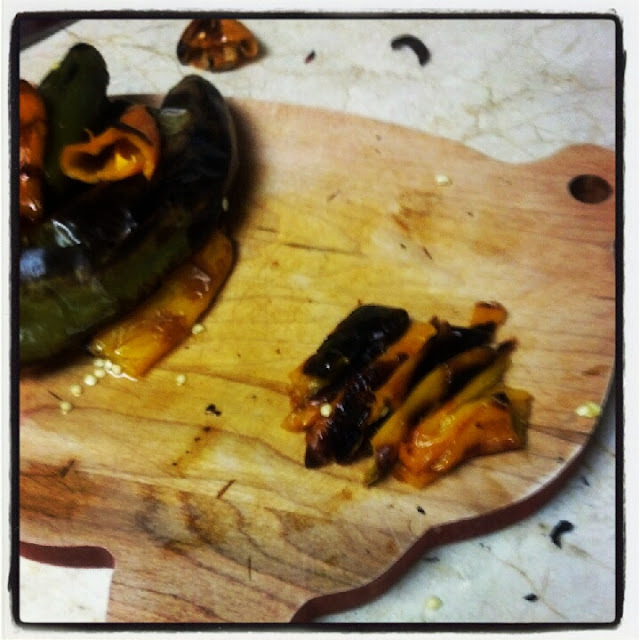 You can leave the ribs and seeds from the smaller peppers, but remove from the larger bells peppers. 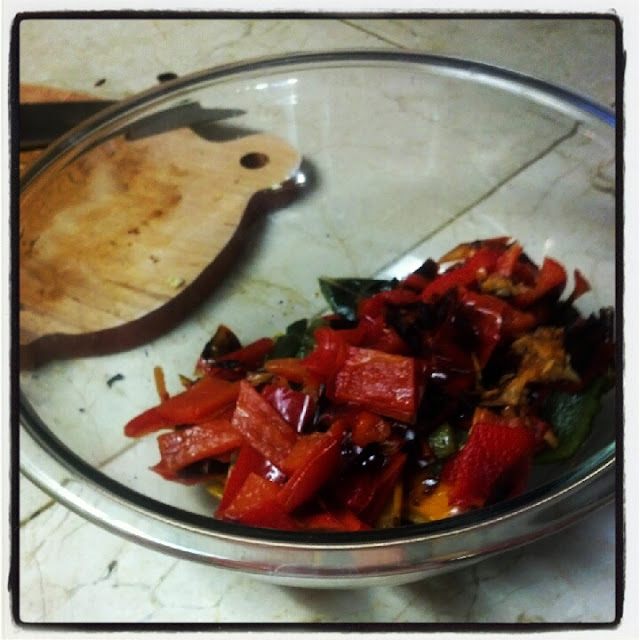 Slice the roasted peppers into thin strips and then chop to desired size. 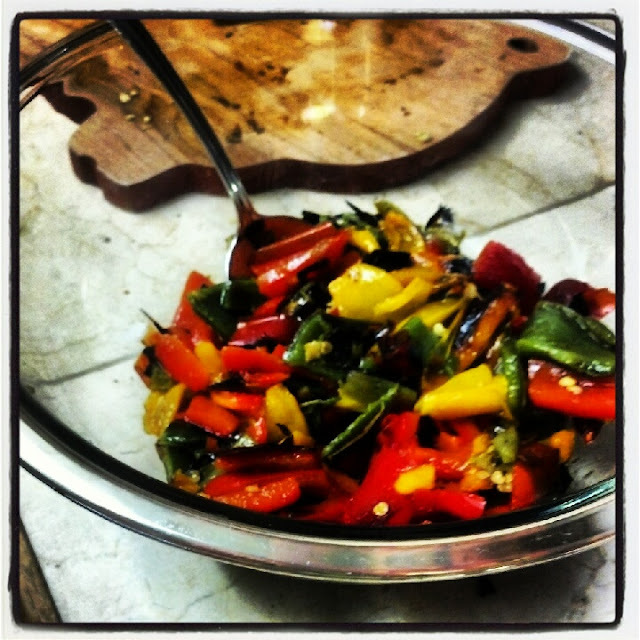 The hotter peppers should be chopped finely so that they can be distributed throughout the mixture. Place all of the peppers in a bowl. Stir in the juice of one lemon. This will help enhance and distribute the flavors. And that's it - it is ready to serve with your favorite steak, chicken, fish.... this would taste great over pasta, or with eggs, or even on its own. You can adjust the heat of the dish by the peppers you include. 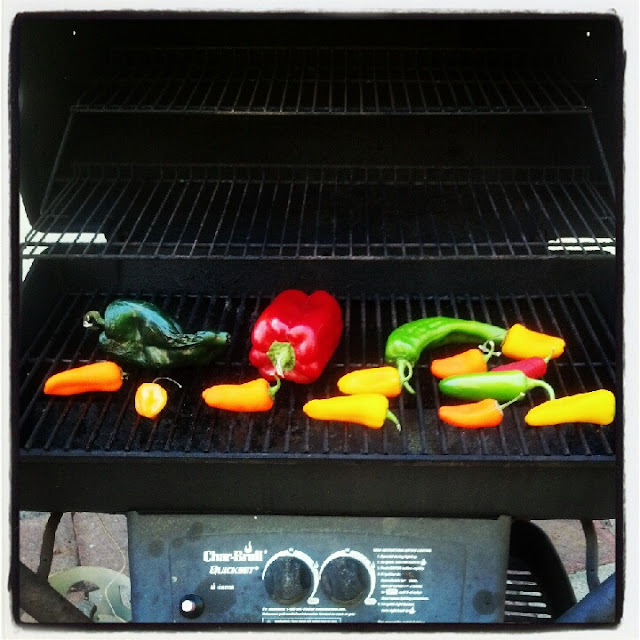 I like a lot of heat, so I used the habanero and jalapeno, but this would work with any combination of peppers. 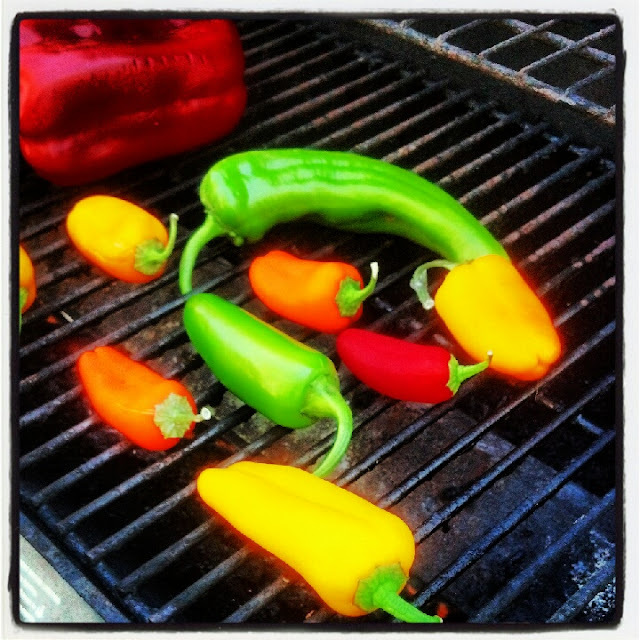 Do you have any great ideas for all the fabulous peppers we can find at the farmer's markets or that come out of your garden this summer? I need to try grilling peppers this way.. I usually just cut them up and put them in tinfoil. thanks for sharing on Foodie Friend Friday. Yes, I have used foil too. This looks like a much easier and taster method. You make this look so easy! 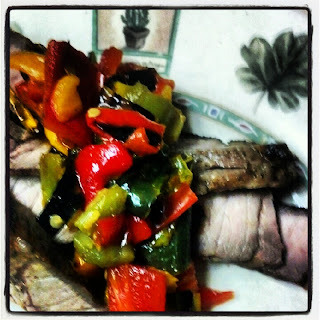 Thanks for sharing on Foodie Friends Friday! Please come back on Sunday to VOTE! Glad I found this through It's a Keeper's linky party. I linked in asparagus soup. Have a good week.